This article was prompted by a situation one of my Blogging buddies ran into recently. Apparently, a friend of his was having a problem with his Internet connection and major problems with his email sign-ins. This problem, in all likelihood, was a typical case of a compromised password – not a particularly unusual event. To ensure your passwords are as safe as you can make them, consider adding KeyScrambler Personal to your Browser. 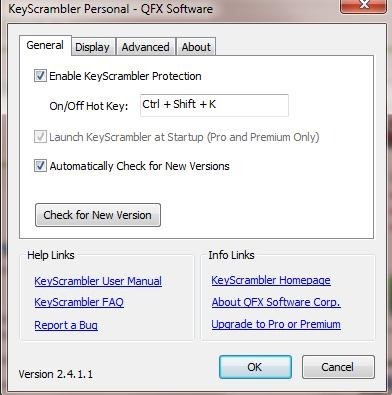 KeyScrambler Personal is a free plug-in for FireFox, Internet Explorer, and Flock web browsers which protects all input you type into the browser from Keyloggers. This free version of KeyScrambler encrypts your keystrokes at the kernel driver level. Despite the best efforts of AntiSpyware, AntiVirus, and other Internet security products, you still face substantial risks while surfing the Internet. One type of malware that can expose you to financial risk is the Keylogger. 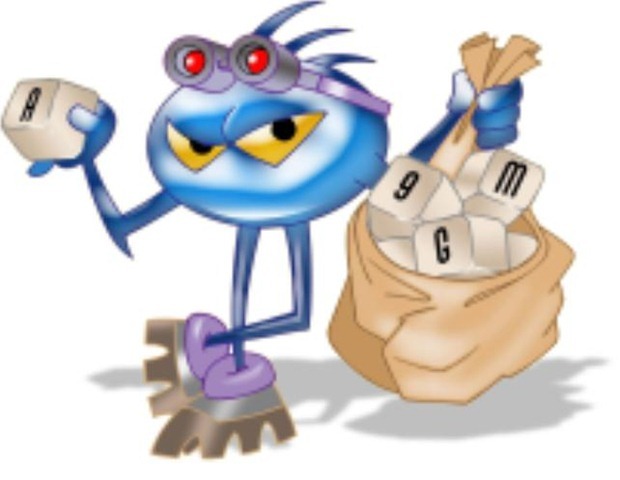 A Keylogger is a form of spyware which, once installed on a computer, can record every keystroke that is made on that computer, and transmit those keystrokes back to a cyber-criminal. The function of a Keylogger is to steal passwords, bank account numbers, and other personal information. By encrypting your keystrokes at the keyboard driver level, deep within the operating system, a Keylogger can be beaten since it can only record the encrypted keys, which are indecipherable. I’ve been using this great little plug-in for months now and feel more secure logging in than I once did. Despite this, I change all of my passwords frequently, since doing so, is just common sense. By the way, it works flawlessly on Windows7 RC. Setting your password correctly is vitally important to ensure your safety and privacy, on the Internet. Read how to do this correctly by visiting TechPauls site, and taking a look at “A Word About Words — Passwords, That Is”, which includes a link to a freeware application which makes password management a snap. This is another thing I installed after reading about it on your blog. I think it’s a great idea, as I’ve had my antivirus find keyloggers on my computers in the past. Finding a keylogger on a machine is definitely a frightening experience. I have a question for you regarding anti keylogger software. They all work great together, wonder of wonders, and what I really want to know is; do you know of any anti-keylogger software that will run on Opera 10? Or don’t I need anything considering I’m all paranoid about viruses and stuff and have all those other programs on my laptop? I really have no idea what is what. I usually download and use the programs you recommend, ever since getting a virus and losing everything on my laptop a while back. It looks like you’re well covered with your choice of AV software. KeyScrambler * *will run on Google Chrome, Opera, Safari, Maxthon, AOL Explorer, MSN Explorer, Seamonkey, Avant, K-meleon, Netscape, AOL 9, Yahoo Browser, AM Browser, SlimBrowser, Advanced Browser, and * *SR Iron Browser. I haven’t tested it on Opera 10 and if you do I’d be glad to hear of your experience. I will definitely be trying this one out. I’ll let you know how I get along with it. Thanks for help Bill. It’s good to get answers from someone who knows what they’re talking about, rather than trying something without knowing what’s what and crashing your computer. Believe me, I’ve done that way too many times. I’m a writer, we are not known for being particularly logical. I have used KeyScrambler for about a year. Makes me feel more secure. However. the free version will not work on Opera or any browsers other than IE, FireFox and Flock. You have to buy the pro version for 29.95 in order for it to work on other browsers.